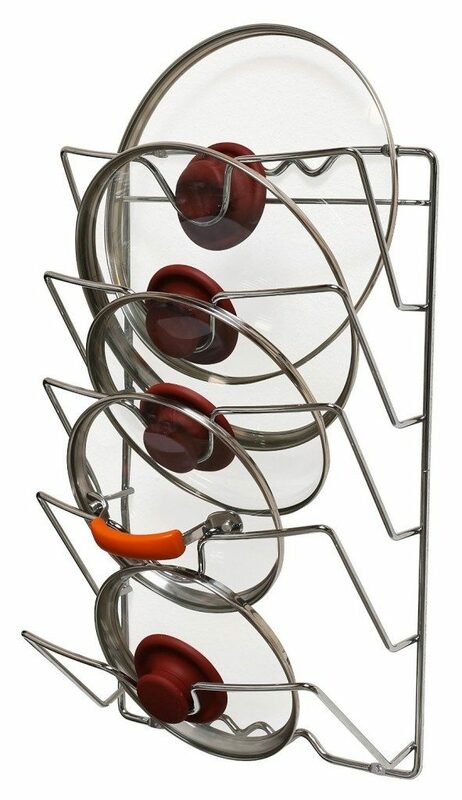 Wall / Door Mounted Pot Lid Rack Only $14.87! You are here: Home / Great Deals / Amazon Deals / Wall / Door Mounted Pot Lid Rack Only $14.87! Every time I look at my pot cupboard I get so frustrated – maybe this will help! Head over to Amazon and order the Wall / Door Mounted Pot Lid Rack Only $14.87! Ships for FREE on orders of $35+ or if you have Prime!